1789 - 1877 (88 years) Has more than 100 ancestors and 33 descendants in this family tree. Of Penjerrick, F.R.S., American Consul at Falmouth 1818-1850. Robert Were was the first occupant of Rosehill House. He was a scientist of some distluction, a Fellow of the Royal Society whose entry in the Dictionary of National Biography lists his important scientific achievements. Like other eminent Quakers of the time, his commercial ventures combined with his scientific gift to produce technological inventions that served industry and society. His business interests in mining and shipping led to inventions and discoveries in mining, engineering, geology and navigation. 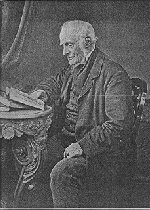 As a young man he collaborated with another Quaker who lived in Cornwall, Joel Lean, in developing Watt's steam engine and increasing its power by the use of high pressure steam. His knowledge of geology was also of considerable help to the Cornish mining industry, but he will be chiefly remembered in the history of science for his invention of navigating instruments and especially the new dipping needle compass which was used by Sir James Clark Ross and Captain Nares in their Polar expeditions. Ross told the inventor that without his compass he would not have discovered the south magnetic Pole. Geologist and natural philosopher, was born at Falmouth , the son of Robert Were Fox (1754-1818) and his wife, Elizabeth Tregelles. He was a member of the Religious Society of Friends (Quakers), and was descended from members who had long settled in Cornwall, although he was not related to George Fox who had introduced the community into the county. In 1829 he commenced a series of experiments on the artificial production of miniature metalliferous veins by means of the long-continued influence of electric currents, and his main results were published in Observations on Mineral Veins (Reports of the Royal Cornwall Polytechnic Society., 1836). 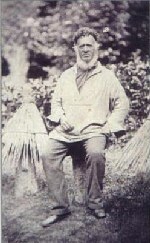 He was one of the founders in 1833 of the Royal Cornwall Polytechnic Society. He constructed in 1834 an improved form of reflector dipping needle compass. In 1848 he was elected fellow of the Royal Society . He was involved in many aspects of the Fox Family's businesses, with his many brothers. He was Honorary Consul of the U.S.A in Falmouth from 1819 to 1854. In 1814, he married Maria Barclay (1785-1858), daughter of Robert and Rachel Barclay of Bury Hill, near Dorking, Surrey. Her sister, Lucy, married his elder brother, George Croker Fox. 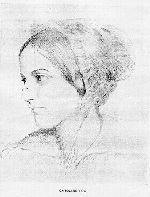 They had three children, Anna Maria (1815-1897), Barclay (1817-1855) and Caroline (1819-1871). His garden at Penjerrick near Falmouth became noted for the number of exotic plants which he and his son had naturalized.